If you don’t have one already, develop a one page handout that describes how donors can include your organization in their estate plan. This sheet should remind donors that their wealth will only go to one of three places upon their death: the government, heirs, or charity. This reminder can provide a nice lead-in for a discussion on whether or not they’ve begun to make plans for their estate. Segment your donor base by looking for long-time donors and/or volunteers that you know have a passion for your mission or who have expressed their love for your particular programs. This is the sweet spot for planned giving conversations. A good place to start is by looking at current and past board members, especially those that have served the organization in a volunteer capacity for a long time. Hopefully, you’re already visiting with these donors once or twice a year to discuss their annual giving (you are doing this, right?). Use these discussion times as a jumping off point to emphasize that the organization is beginning to be more intentional about planned giving discussions with its donors. Then give a very brief overview of planned giving. 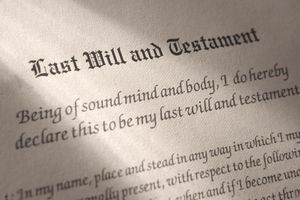 You don’t need to be an expert here…the vast majority of planned gifts are simple bequests (direct gifts from an individual’s last will and testament) but it might be helpful to do a little research around planned gifts so you’re comfortable with the terminology. For those donors that express an interest in learning more, suggest a future meeting that might involve their attorney or financial advisor. If possible, include your organization’s legal experts in this conversation so you don’t have to worry about the fine details of a planned gift agreement. As an alternative, learn more about endowment funds at your Community Foundation. Community Foundations can provide the vehicle and expertise for your donors that would like to establish an endowment fund for your organization at the Community Foundation. Make sure you understand that a gift to a Community Foundation endowment fund, even if it is designated for your organization, is ultimately a gift to the Community Foundation and not a direct gift to your organization. Still, this is another way a donor can help your organization without you having to become an expert in planned giving. © 2019 Hopkins Fundraising. All Rights Reserved.